Dr. Vaillancourt completed his masters and PhD degrees at The Pennsylvania State University training under Dr. Karl Newell. His PhD work was funded by NIA/NIH and focused on biomedical signal analyses, motor unit physiology, and tremor in Parkinson’s disease. He completed postdoctoral work at the University of Illinois at Chicago with Dr. Daniel Corcos. There, he worked in the area of clinical neurophysiology and neuroimaging with patients with essential tremor and Parkinson’s disease following deep brain stimulation surgery. 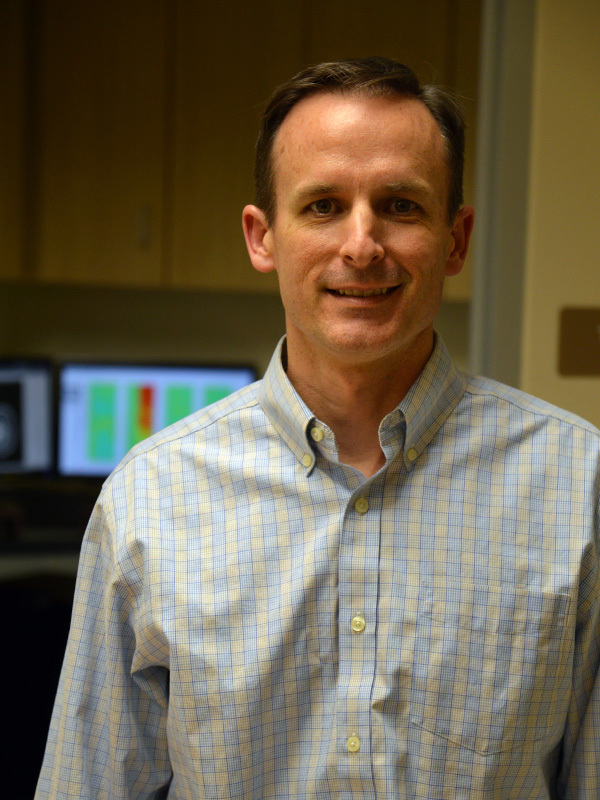 Dr. Vaillancourt was supported by a National Research Service Award from NINDS/NIH where he was trained in structural and functional brain imaging by Dr. Keith Thulborn. He was on faculty at University of Illinois for six years, before being recruited to the University of Florida in 2011. He is currently Professor of Applied Physiology and Kinesiology, Biomedical Engineering, and Neurology. Dr. Vaillancourt’s research focuses on mechanisms for voluntary and involuntary movements within the cortex, basal ganglia, and cerebellum in people with movement disorders. His laboratory uses structural and functional imaging (dMRI, MRI, fMRI) and electrophysiological (EMG, EEG) techniques. The laboratory is focused on studies in both human and rodents to more effectively understand brain circuits and treatment interventions. The laboratory is conducting progression studies of movement disorders, and is interested in various treatment interventions on motor deficits. Burciu, R.G., Chung, J.W., Shukla, P., Ofori, E., Li, H., McFarland, N.R., Okun, M.S., Vaillancourt, D.E. (2016). Functional MRI of disease progression in Parkinson disease and atypical parkinsonian syndromes. Neurology. 2016 Aug 16;87(7):709-17. Neely, K.A., Kurani, A.S., Shukla, P., Planetta, P.J., Wagte Shukla, A., Goldman, J.G., Corcos, D.M., Okun, M.S., Vaillancourt, D.E. (2015). Functional Brain Activity Relates to 0-3 and 3-8 Hz Force Oscillations in Essential Tremor. Cerebral Cortex 25(11):2191-4202. Ofori, E., Pasternak, O., Planetta, P.J., Li, H., Burciu, R., Snyder, A., Lai, S., Okun, M.S., Vaillancourt D.E. (2015). Longitudinal changes in free-water within the substantia nigra of Parkinson’s disease. Brain 138(Pt. 8):2322-2331. Prodoehl, J., Planetta, P.J., Kurani, A., Comella, C.L., Corcos, D.M., Vaillancourt, D.E. (2013). Brain activation differences in tremor dominant and non-tremor Parkinson’s disease. JAMA Neurology Jan;70(1):100-6. doi: 10.1001/jamaneurol.2013.582.